" If I could give this company more stars, I would. 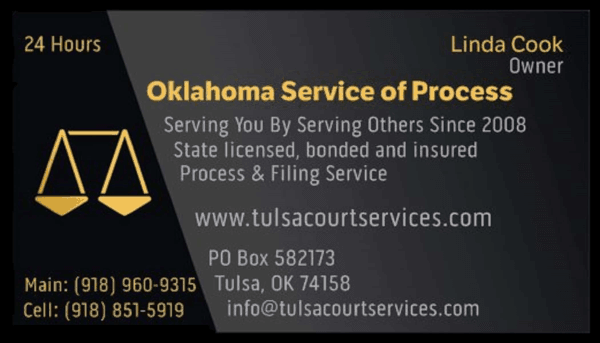 We recently found ourselves in a position where we needed a process server in the Tulsa area. 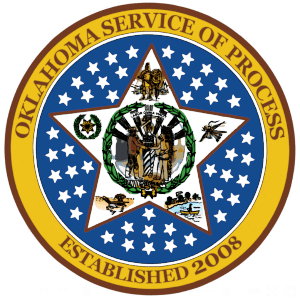 Without knowing anyone locally, I contacted Oklahoma Service of Process and spoke with Linda. She took all of my information and we forwarded our documents to her. Every step of the way I knew exactly what was happening with our service. Linda was very interested in making sure I knew what was happening, and she handled our business professionally and extremely quickly. I can't say enough nice things about this company and Linda in particular. We will absolutely call on her again if and when the need arises for her expertise. "